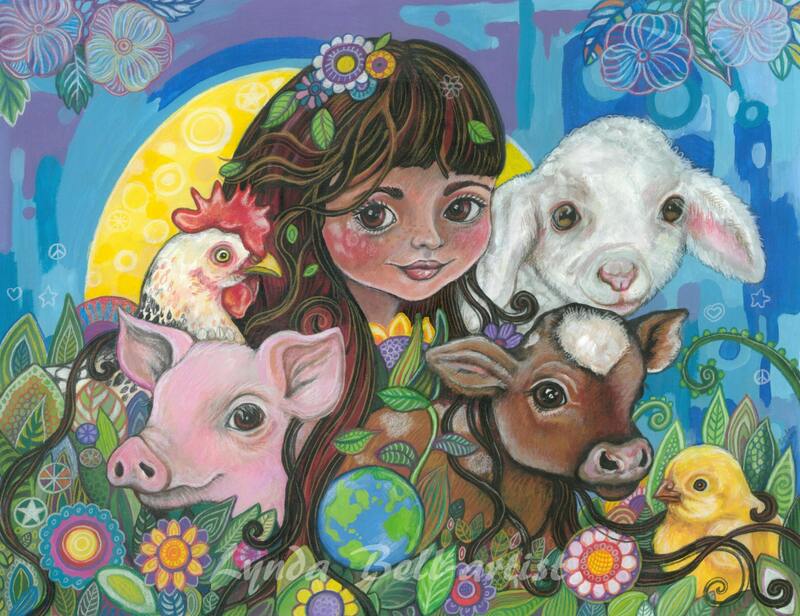 All we need is Love is a painting all about loving the beautiful animals that are so often disrespected in the human world and thought of as 'livestock' or 'meat'. Id all animals are loved and respected our world will be better for it and humanity will begin to heal. This print is printed on high quality fine art paper with archival inks. The paper is A3 size (29.7 x 42 cm 0r 11.69 x 16.53 inches) and will have a small white border for framing purposes.